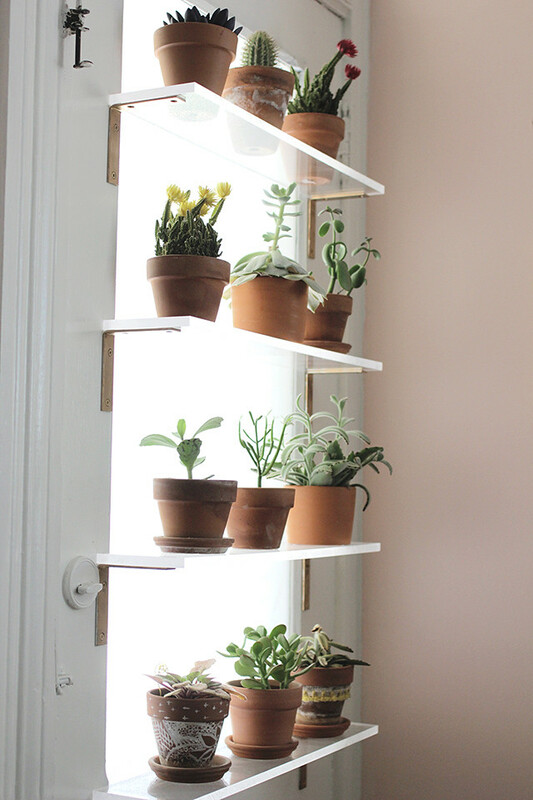 I think at this point most of us can agree that plants bring a fresh and calming element into the home... not to mention the fact that they're extremely addictive. 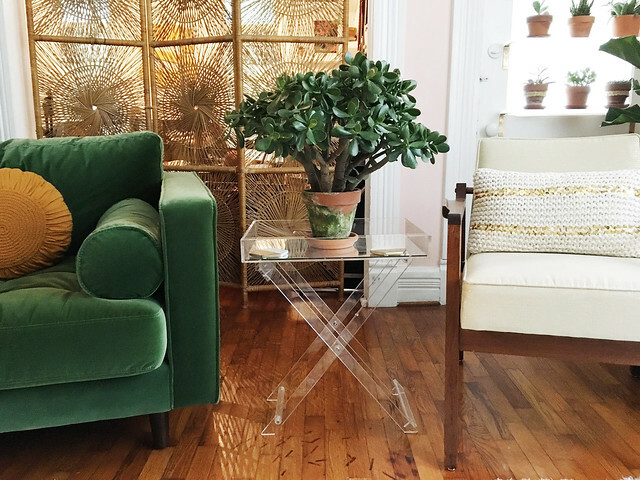 I enjoy seeing how others style plants around the house, so I thought I'd share some of my favorite green spots! 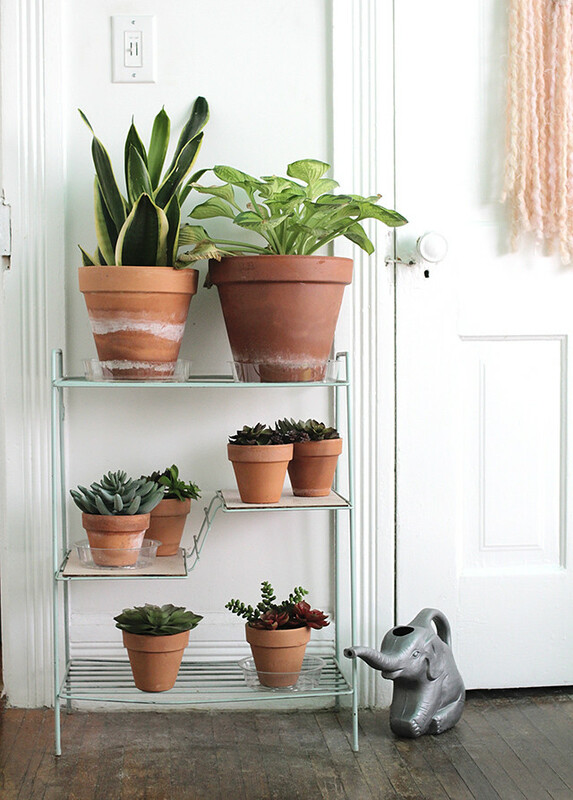 My favorite way to display smaller plants is in a fun grouping. 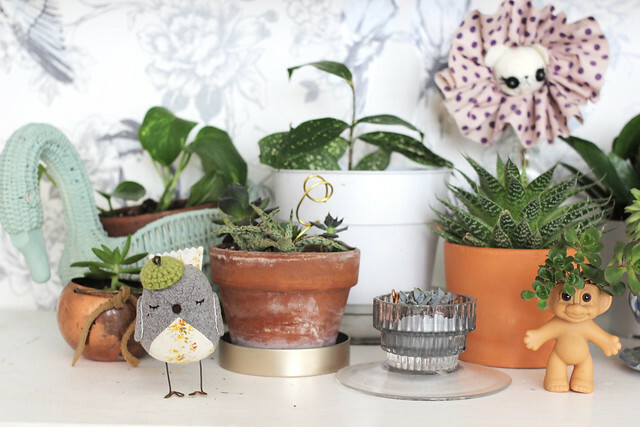 I love collecting fun planters and mugs and mixing them in with more traditional pots. 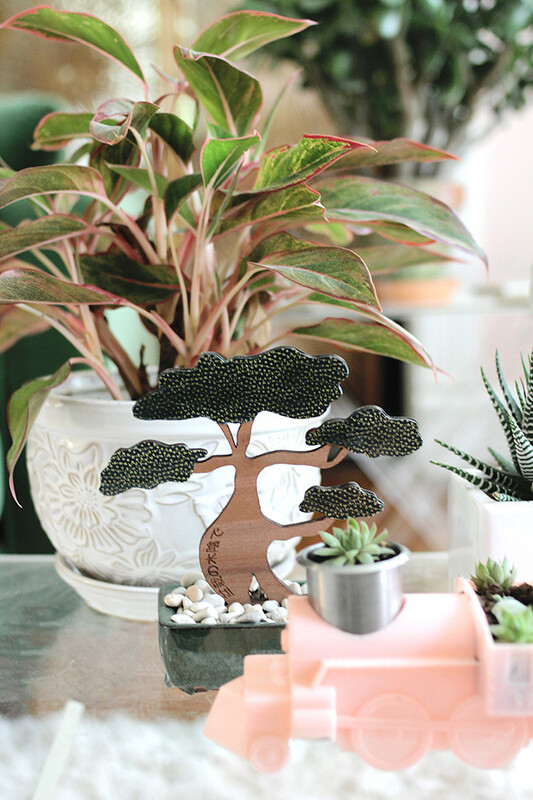 Throwing in little unexpected touches like this wooden bonsai tree from Under the Shade of a Bonsai Tree and the vintage kid's "chow chow train" are so much fun to me! 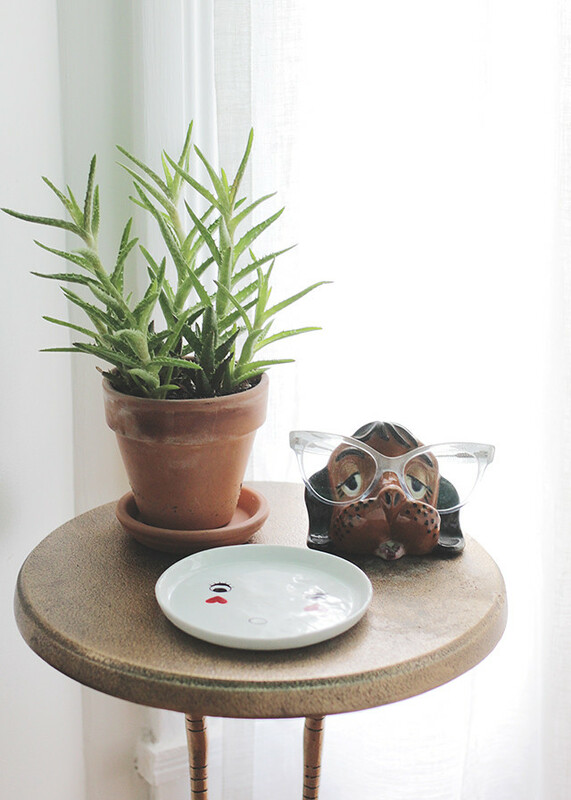 Since my living room is starting to feel like full on crazy plant lady status, I like to balance out my quirky vignettes with some more uniform and traditional groupings. Basically, that's just so I can add allllll of the fun displays my vintage loving heart desires! I get asked a lot where I find a lot of my planters, baskets, etc. and the answer is almost always SECOND HAND SHOPS. Places in your town like Goodwill or smaller thrift shops are usually great for $0.25 baskets and fun mugs. 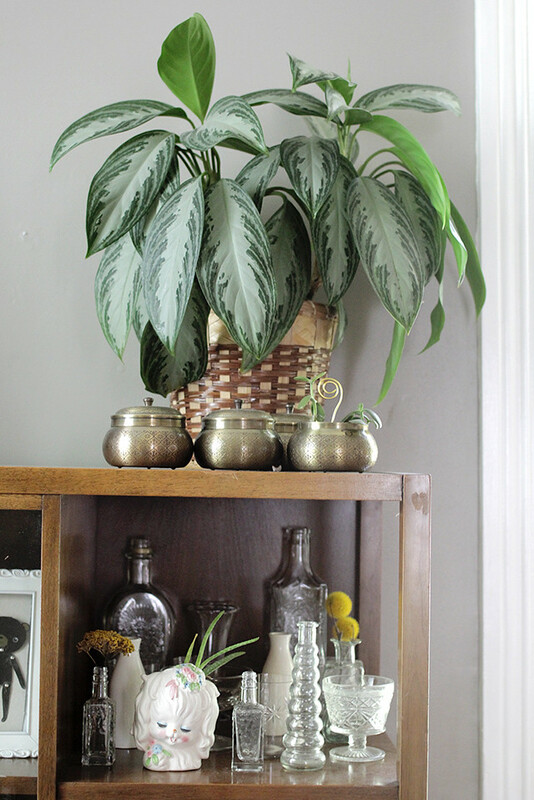 Oh, and there are some places in my house where I'm not above styling with fake plants. If there are places where I continue to kill plants over and over, I'll get some plastic guys to round out the bare spots. I hope this was a fun read! 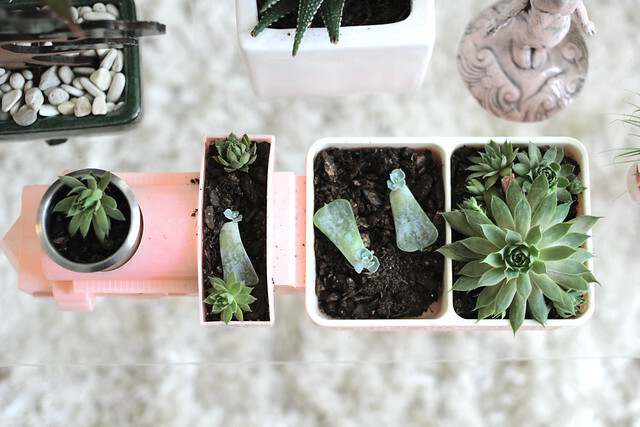 I just love seeing other people's home decor style, so if you have any links to yours, please leave them in the comments. Also! One more thing: one of our future projects might be white washing our bedroom floor. You can see how rough it is in the photo above-- we have quite a bit of that happening. Have any of you had good experiences with a project like this? I need a good push! I love all your plants! 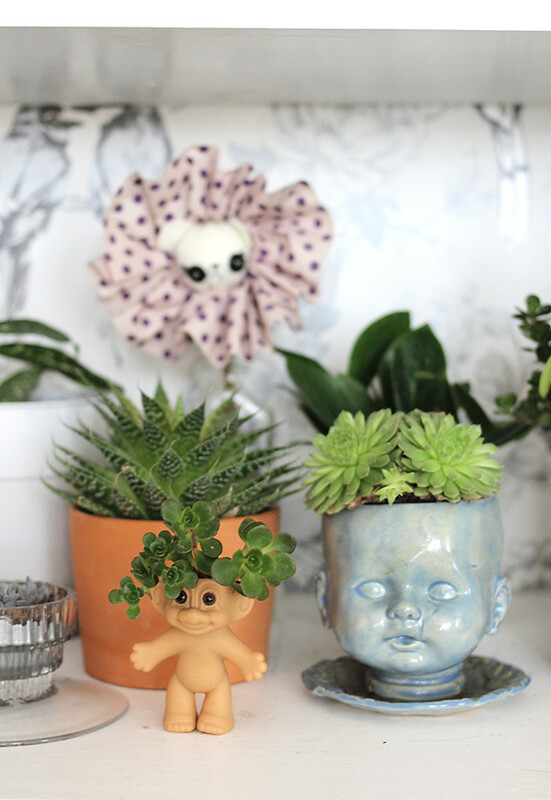 Your planters are way cute, I especially love how you used the troll. 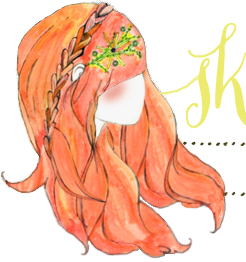 :) Can you do a post on your Blythe dolls sometime? I think that would be fun. Thanks for sharing, Katie! 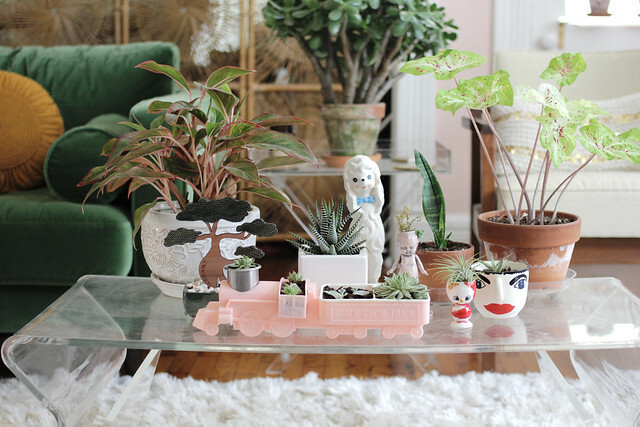 love all your cute planters like the troll and the train! 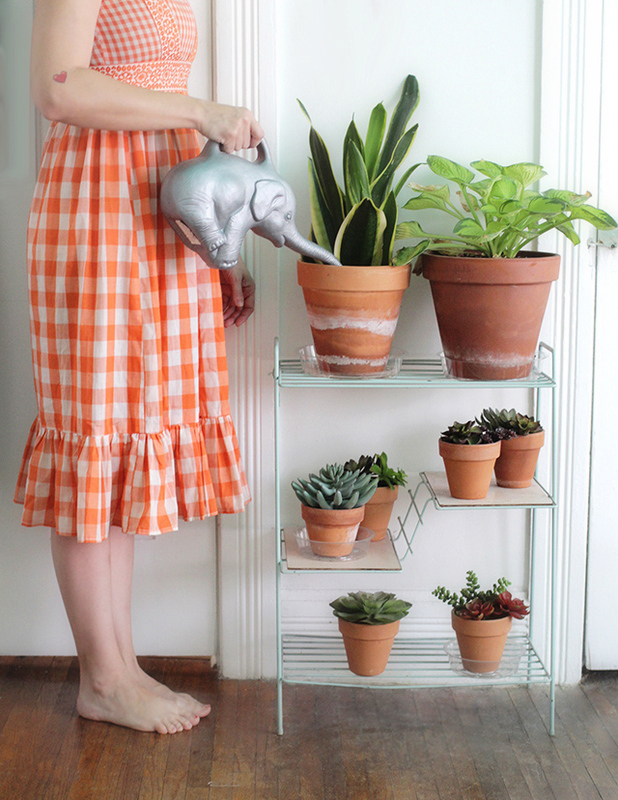 such fun ideas and your elephant watering can is the cutest!!! i LOVE non traditonal planters like the troll or other toys, and i want to use stuff like that for planters but don't they need drainage holes in the bottom? i am new to taking care of plants. 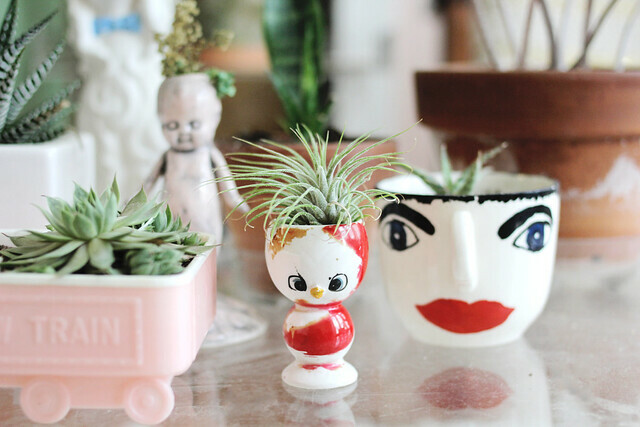 it confuses me when i see people plants in cute mugs or toys or whatever. i thought you needed some kind of holes on the bottom for the water to drain out so they aren't sitting in water. or do you just use fake plants in those planters? 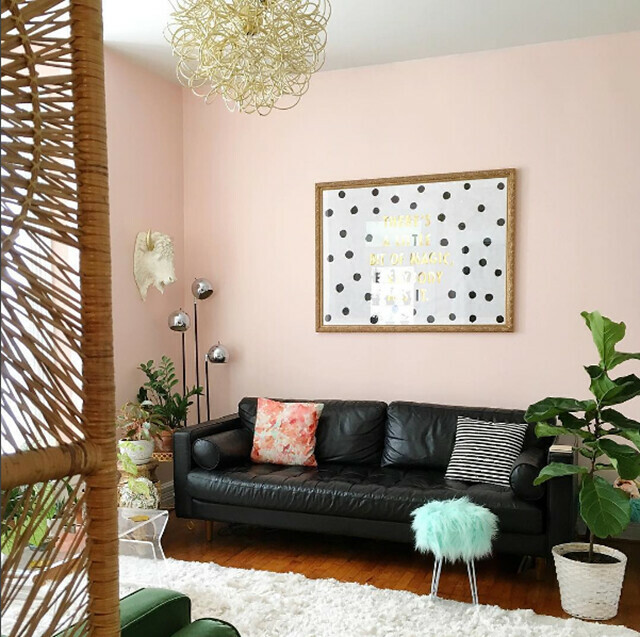 Can you tell me what the pink paint color is in your living room? Shop My Vintage on Whurl!